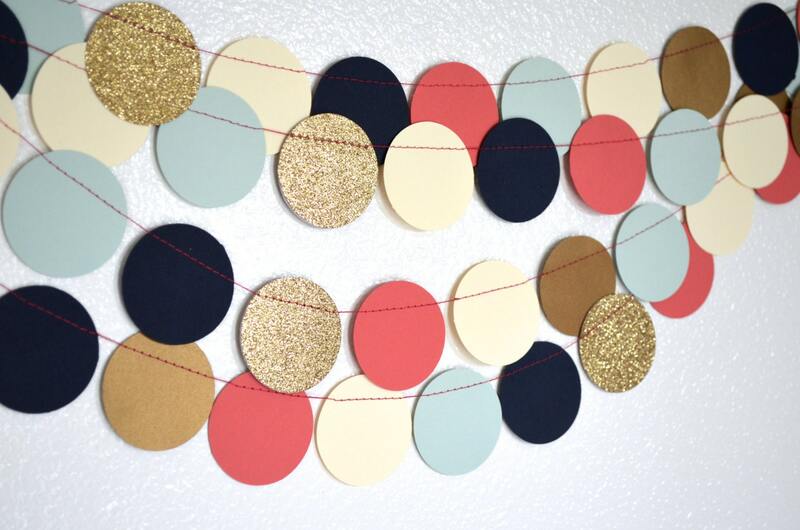 Navy, mint and gold, coral and cream - a combination that is classic and whimsical at the same time! 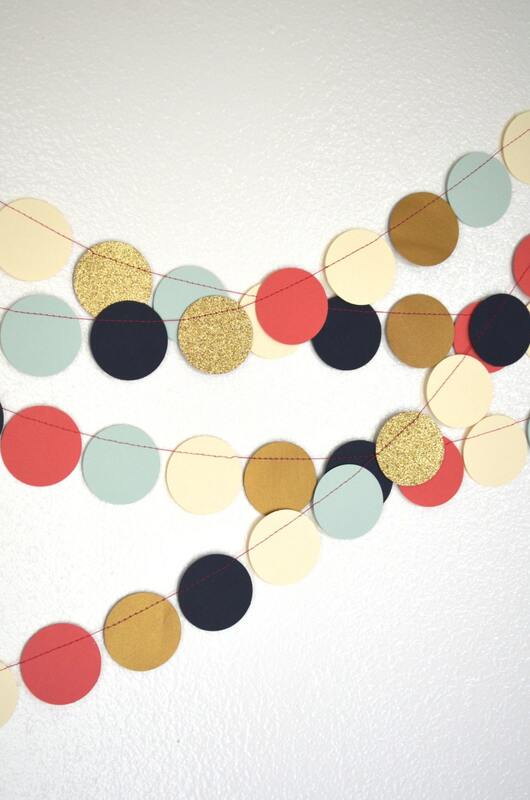 This garland is a larger version of our original Confetti Circles Garland and is made up of 2 inch wide circles that we hand punch from a variety of gorgeously hued heavy weight paper and then sew together using coral colored thread. 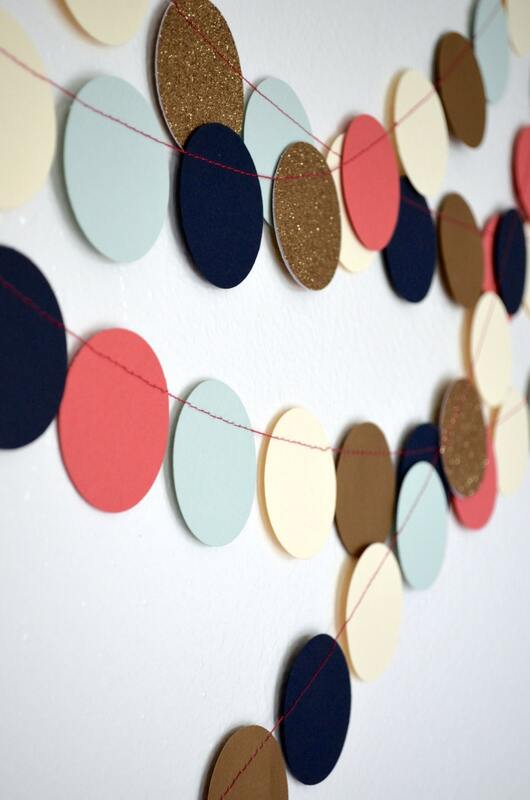 The ends each have a small loop to help with hanging. Choose from 10-foot, 12-foot, 15-foot, 20-foot or 30-foot lengths. 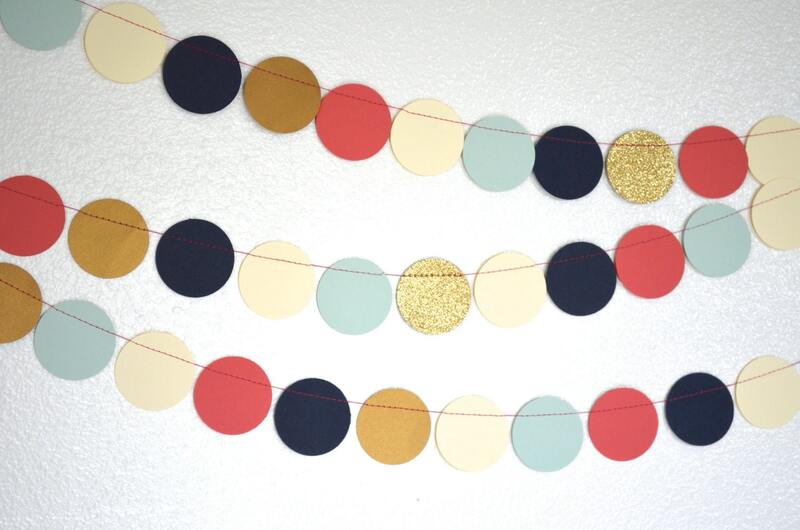 Are you looking for a custom colored version of this garland? 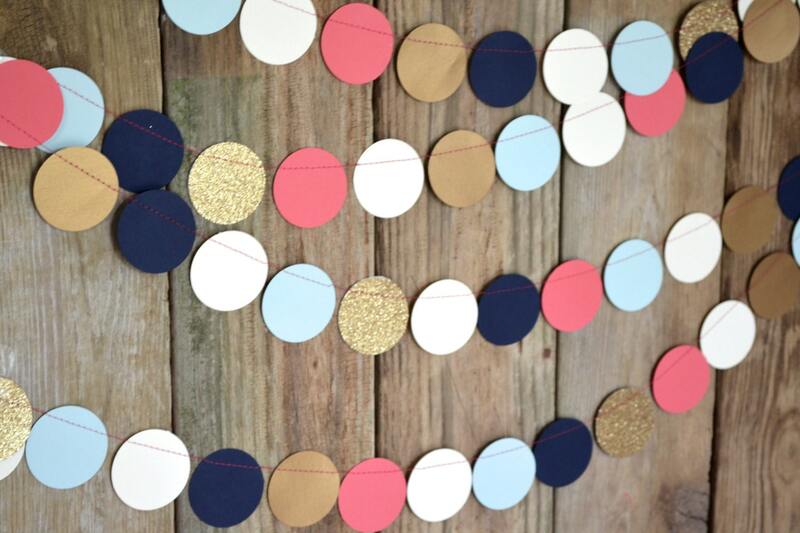 Just email us and ask - we love custom orders! Beautifully packaged, and exactly as advertised ! Just as adorable as the photos on the page. Everyone loved them!